I've been waiting to see how Bang & Olufsen would approach the new "100% wire-free" headphone trend. 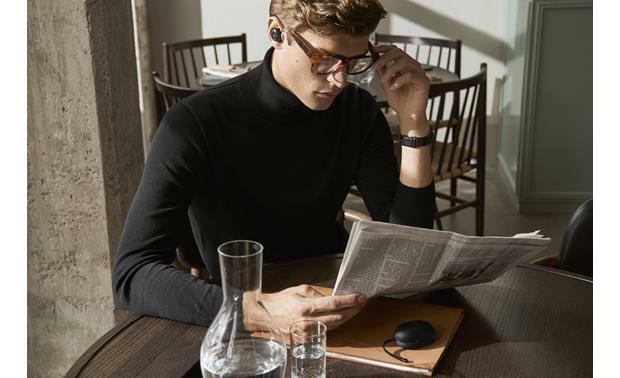 As I expected, their Beoplay E8 truly wireless earphones bring an understated elegance to the high-tech category. This company just has a knack for tasteful style with a touch of flair. 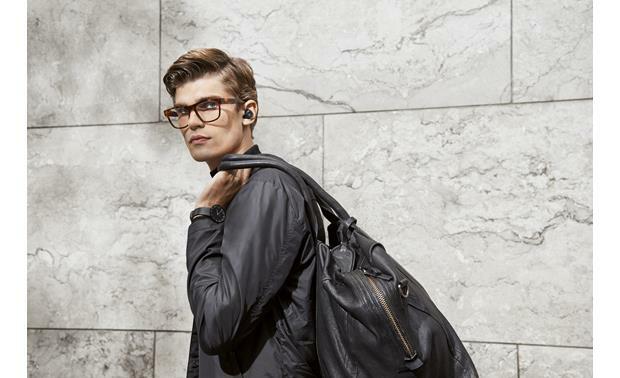 The Bang & Olufsen Beoplay E8 truly wireless headphones sport a cable-free design. Each earbud rests comfortably in-ear without a cord connecting the two. The look is clean and low-key, and music plays wirelessly via Bluetooth®. 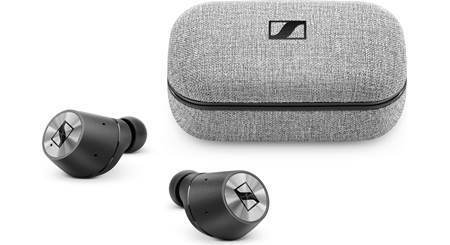 A powerful dynamic driver is packed inside each tiny earbud to deliver Bang & Olufsen's crisp, clear sound signature. 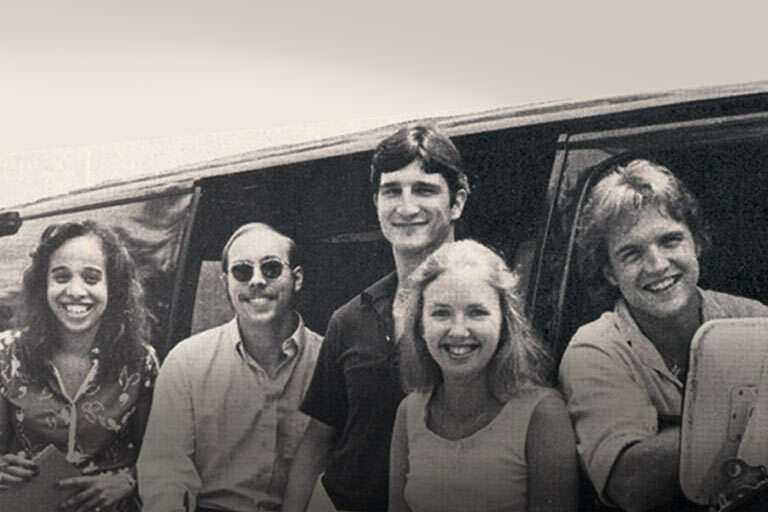 If you're craving a ton of bass, I'd probably steer you in another direction. B&O headphones offer some thump, but I generally think of their sound presentation as more well-rounded. And they aren't afraid to reveal the acoustic details found in the highs and upper mids. 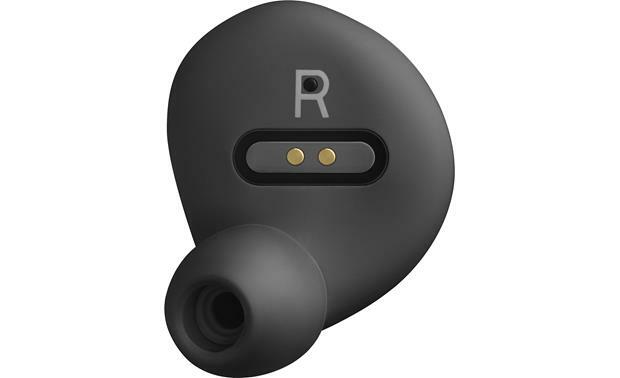 Some truly wireless headphones rely on a Bluetooth connection to each earbud, which can occasionally lead to audio sync and dropout issues. 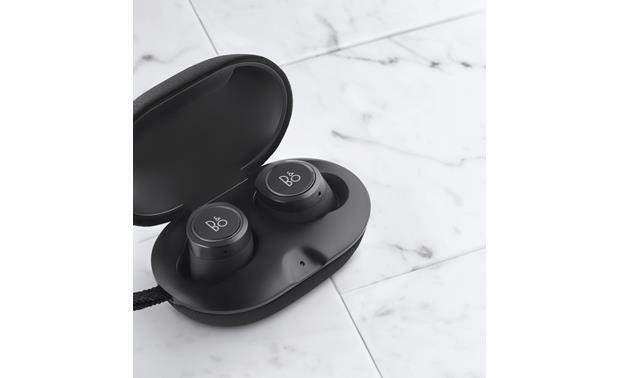 To ensure reliable performance, B&O uses Near Field Magnetic Induction (NMFI) to wirelessly connect the left and right earbuds. It's the same wireless technology used in medical-grade hearing devices. The E8 earphones are designed primarily for people on the go, so B&O threw in some neat features to make listening more convenient. Both earbuds have a touch panel built in for controlling music and phone calls. For example, you can tap and hold the right earbud to turn up the volume, or tap and hold the left earbud to turn it down. The E8 gives you convenient touch control over music and phone calls. If you tap the right earbud once, you'll play or pause the track. Do the same to the left earbud, and you'll activate the Transparency mode — you'll instantly hear external sounds. 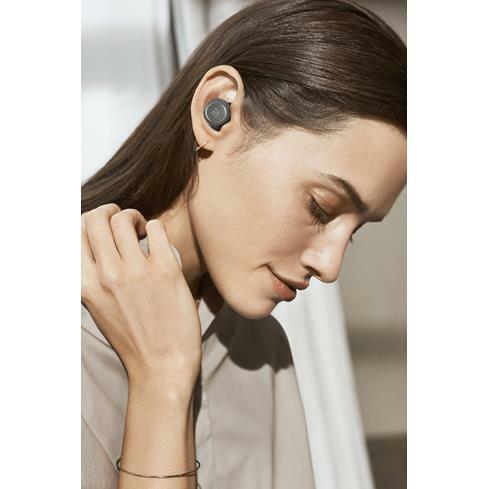 There are three strength levels that you can toggle through by tapping the earbud or using the Beoplay app. A solid, comfortable fit is key for this style of headphones, because nobody wants to lose one of their earbuds. 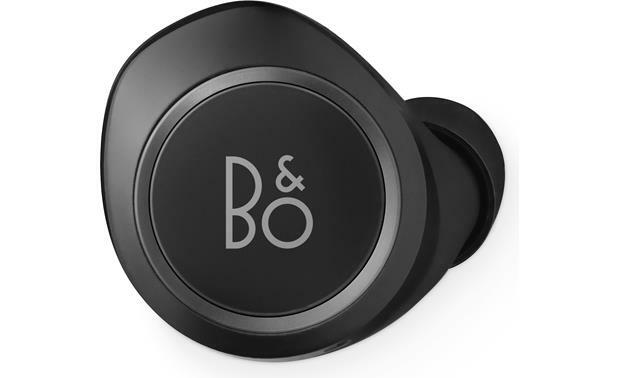 And B&O has steadily improved their earpiece design with each new pair of in-ears they release. That includes extensive 3D studies of the ear and relentless earbud testing, all to find the most comfortable, secure fit possible. There are 5 pairs of ear tips included — four sizes of silicone tips and a pair of Comply™ memory foam tips. 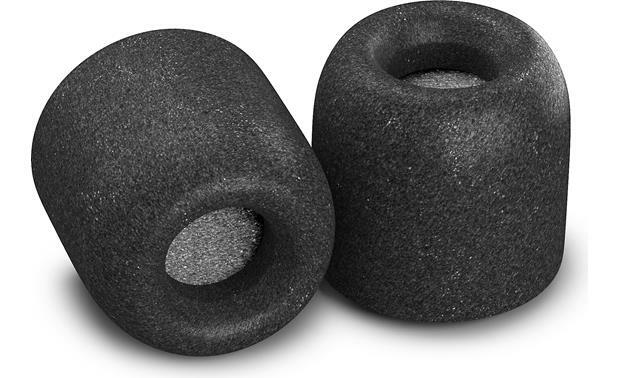 Comply foam tips are my personal favorite, because they fit snugly but feel light and unobtrusive. 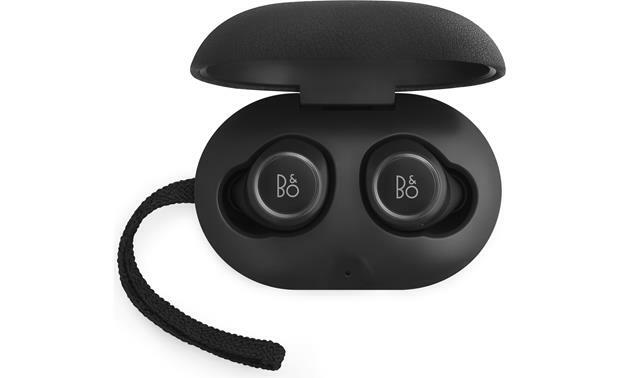 Earcup Width x Height 0.813" x 0.85"
Overview: The Bang & Olufsen BeoPlay E8s are truly wireless earphones. There are no connecting cables whatsoever -- just two separate earbuds that fit comfortably in your ears. The Jakob Wagner-designed E8s are made of premium materials, so they look like jewelry. Touch controls on each earbud let you play/pause music, switch tracks, take phone calls, and activate voice commands, all without touching your smartphone. 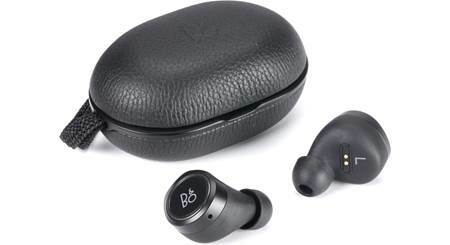 The E8 earbuds have built-in rechargeable batteries, and charge inside of the included hard clam-shell case. Quality Built: The Beoplay E8s are crafted from high quality materials and designed to last for years. The durable, textured rubber and polymer housing features an anodized aluminum ring surrounding the laser-etched B&O logo and touch panel. The top-grain leather-wrapped charging box has a braided textile cord. 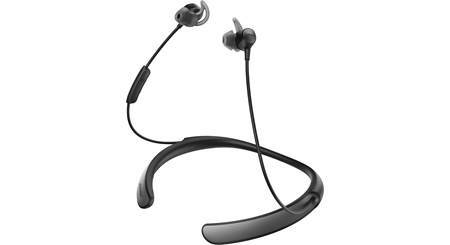 The earphones are resistant to sweat and water, and weigh approximately 1/4 ounce each. Drivers: The E8s are equipped with high quality 5.7mm electro-dynamic drivers. These drivers are tuned by Bang & Olufsen's sound engineers to deliver the powerful and natural B&O Signature Sound. Digital Signal Processing and the B&O Beoplay app allow you to further tune and equalize the sound to your taste. ToneTouch: The B&O Beoplay app lets you customize the sound of your E8 earbuds. The ToneTouch feature lets you choose from four sound presets, or fine-tune your E8s to match your current mood and activity using your device's touchscreen. On the app, you can drag the white dot around the screen to change the sound, and pinch with two fingers to increase the spaciousness of the sound. Transparency Mode: B&O Play has developed a new technology called Transparency Mode. You can shut out the world and concentrate on your music, or let your surroundings blend in so you're more aware. Using the B&O Beoplay app, Transparency Mode lets you choose from four levels of transparency. Note: The Beoplay App is available for iOS 8.0 or later, and for Android 5.0 and up. Bluetooth: The E8s connect to your smartphone or tablet via Bluetooth 4.2. Pairing the earbuds to your smartphone or tablet requires touching and holding both earbuds for at least 5 seconds. 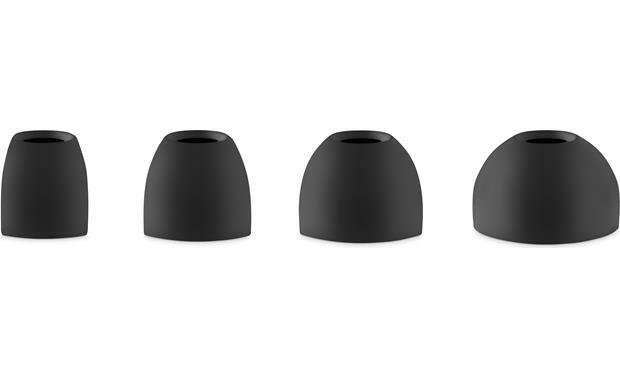 Ear Tips: The E8 comes with four pairs (XS, S, M, and L) of silicone rubber ear tips, ensuring you get an airtight fit regardless of the shape or size of your ear. 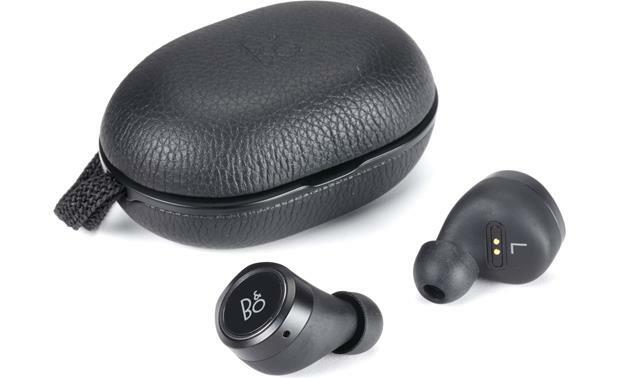 In addition, the E8 includes one pair of Comply memory foam ear tips that enhance the noise cancelling capabilities of the earphones. 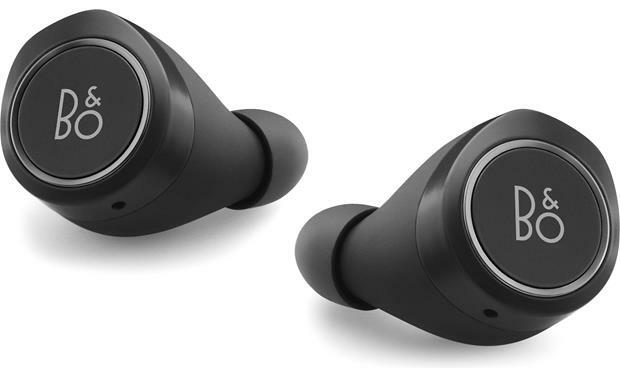 Rechargeable Batteries: The E8 earbuds are configured as a master (right) and slave (left). The Right earbud has an 85 mAh Lithium-Ion rechargeable battery, while the left has a 60 mAh battery. The charging case contains its own 365 mAh rechargeable battery, which is enough for two additional charges. 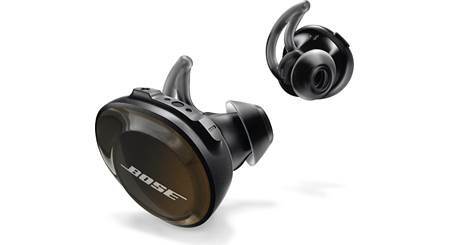 Fully charged earbuds provide up to 4 hours playback time at moderate volume. It takes approximately 2 hours to fully charge the earbuds in the case. A 20 minute quick charge will give you approximately 1 hour of playback time. The earbuds charge in the provided case with the supplied Micro USB cable. Earbuds: Width 0.813", Height 0.85", Depth 0.988"
Case: Width 2.89", Height 1.327", Depth 1.844"
Is this sweat proof for workouts? 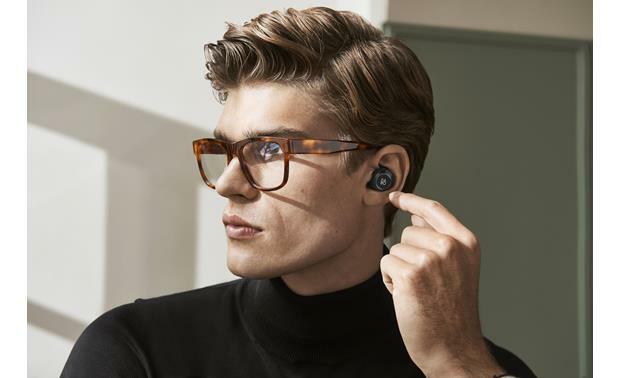 Searches related to the Bang & Olufsen Beoplay E8 Truly wireless earphones.